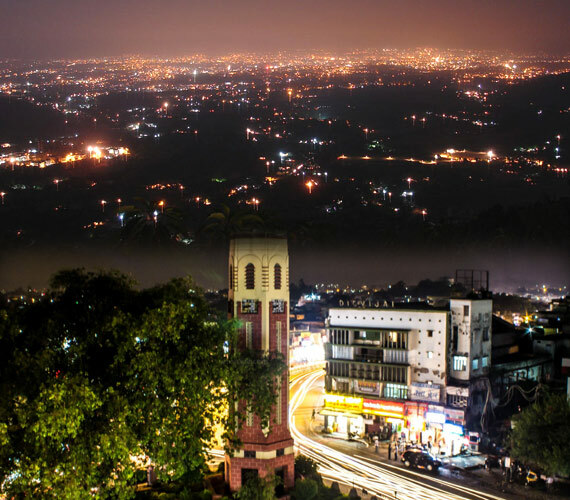 Dehradun, the city, headquarters of the district is visited by a large number of tourist every year, many of them en-route to Mussoorie. The climate of the city is temperate. 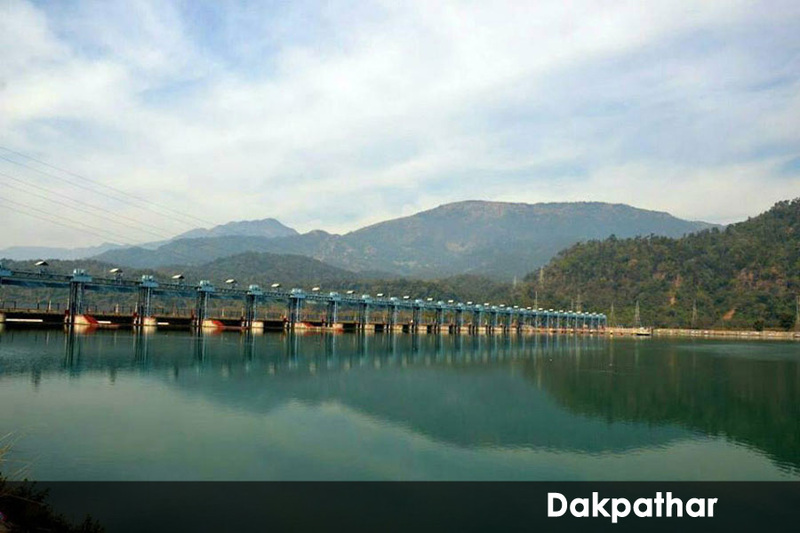 Even during summer, it is not so warm at Dehra Dun as in the district south of it. 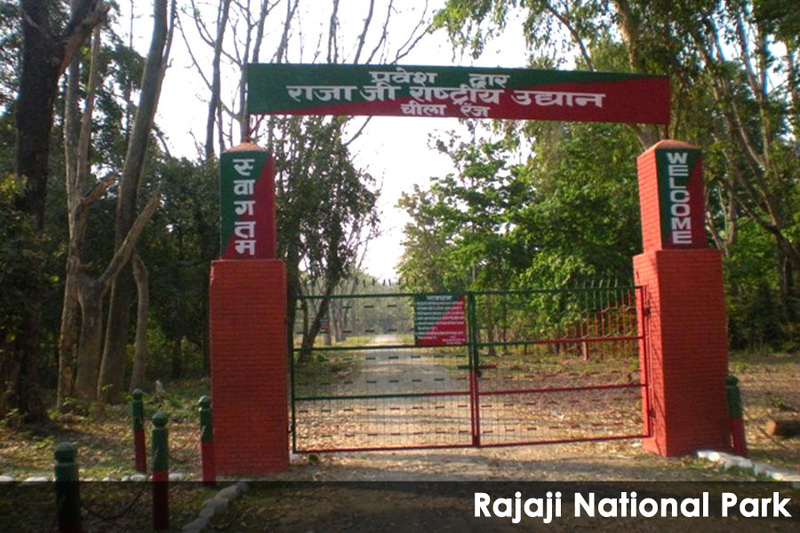 The Forest Research Institute which is world famous for its research work in forestry and is the only institution of its kind in Asia is situated here. Besides, headquarters of the important establishment like the Oil and Natural Commission; Survey of India etc., the Military Academy are also located here. 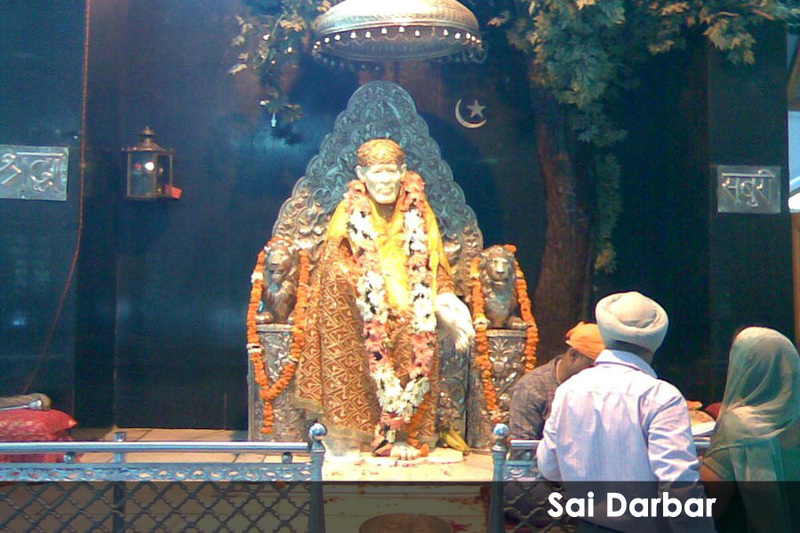 The Gurudwara built by Guru Ram Raj during the reign of Aurangzeb in the Dhamanwala locality o the town is a religious place of eminence. 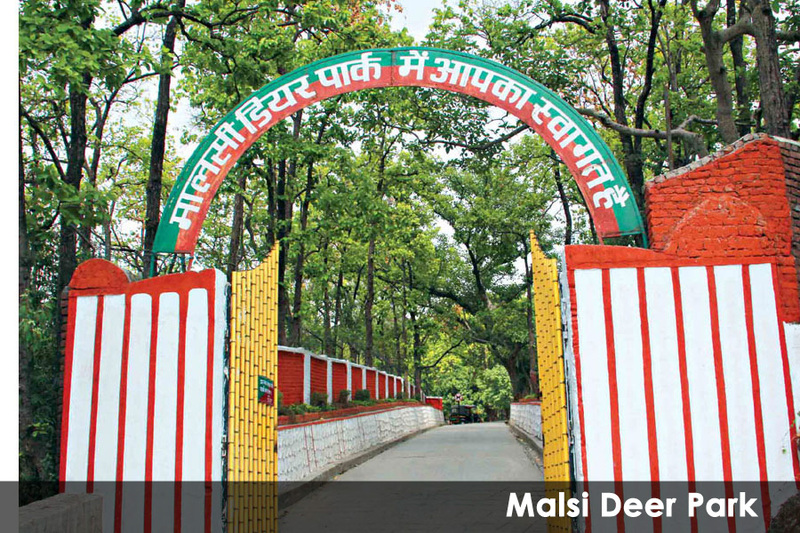 The other places of importance is the Robber's cave, situated at a distance of about 8 kms from Dehra Dun. 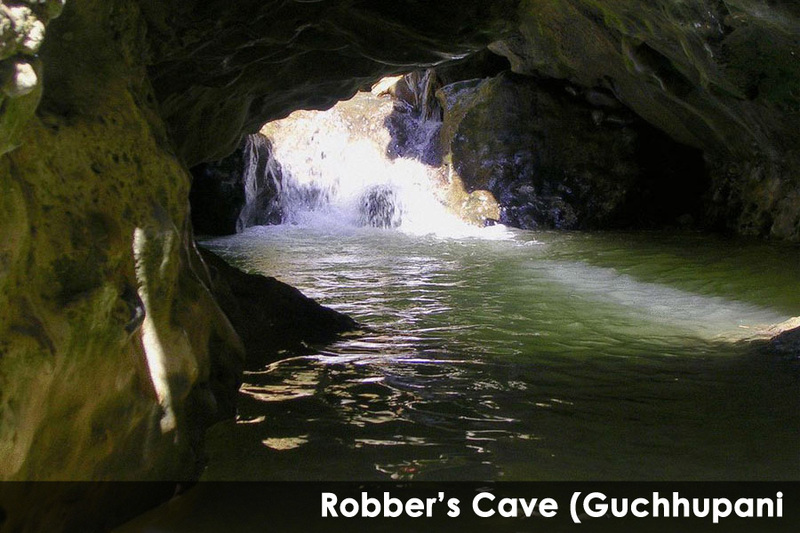 The cave is a natural picnic spot surrounded by hills where water suddenly disappears from sight and goes underground only to reappear after a few yards in the form of a stream. 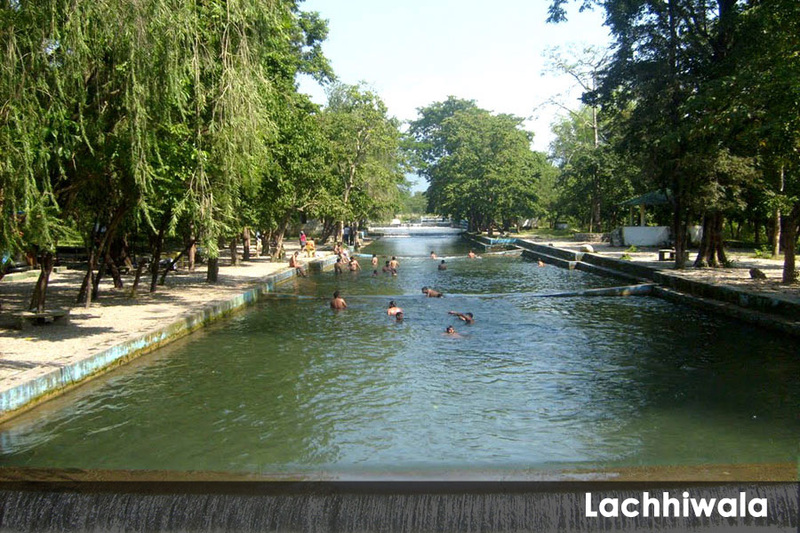 The city has many beautiful rest houses and good hotels to provide accommodation to the tourist. 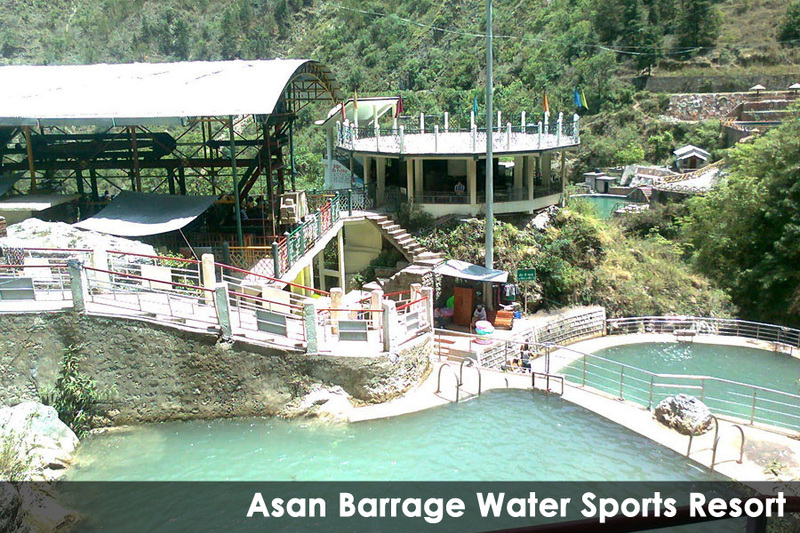 For many years, it has been one of the best known educational centres in northern India. 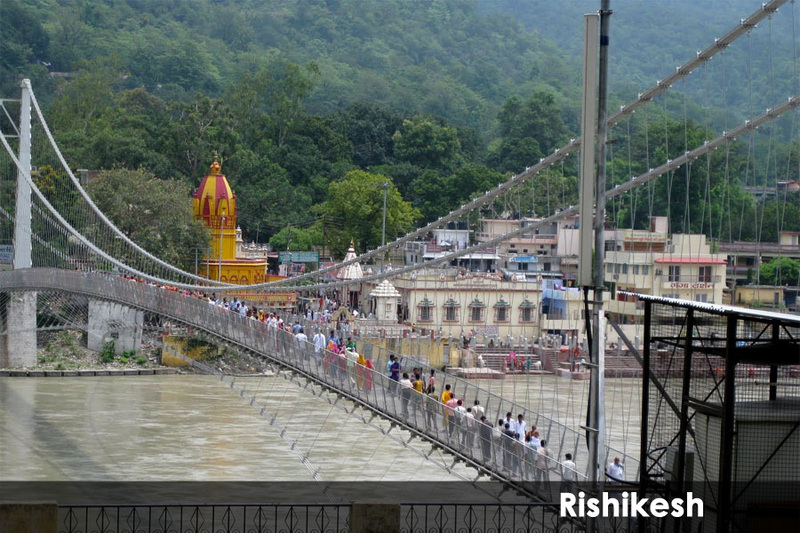 Dehra Dun is well linked by rail and road with Delhi, Bombay, Calcutta, Lucknow and Varanasi. 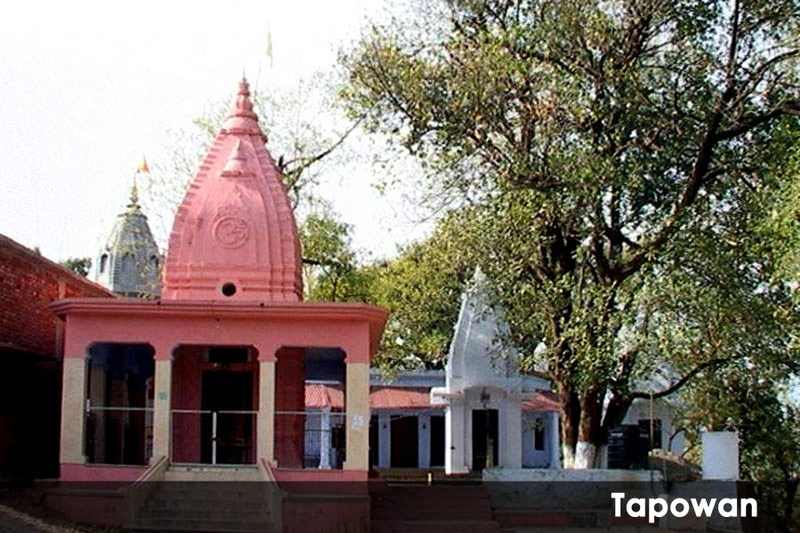 ​Tapkeshwar Shiv Temple is an ancient place of worship and is situated on the banks of a rivulet, in the Garhi Cantt. 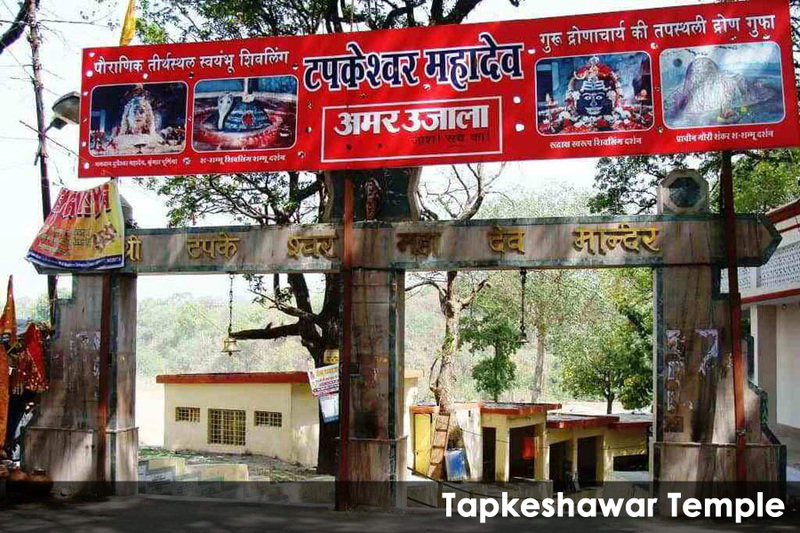 Area, 5.5 Kms from the city bus stand, the temple is well connected by road. 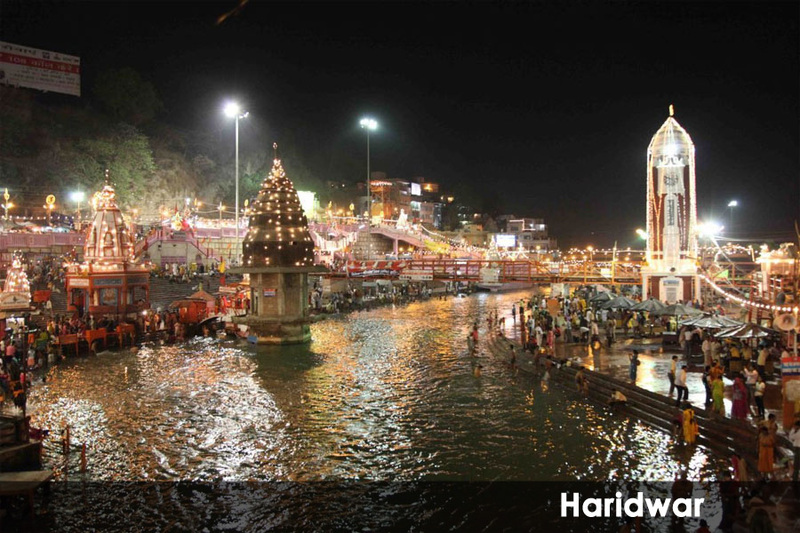 It is named Tapkeshwar as water droplets, originating from a rock, fall on the Shivling placed in the shrine. People in large numbers participate in the fair organized on the occasion of Shivratri and pay their obeisance to the deity. 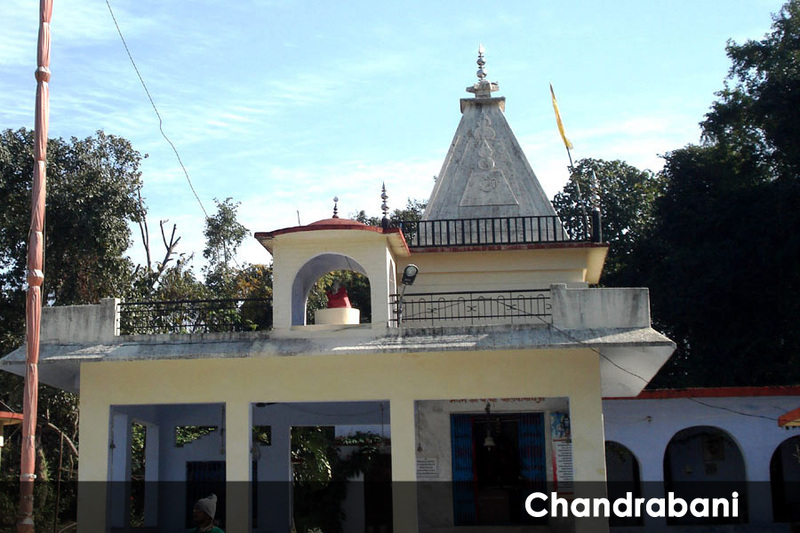 Situated 7 Kms from Dehradun on the Dehradun-Delhi road is the famous temple of Chandrabani(Gautam Kund). 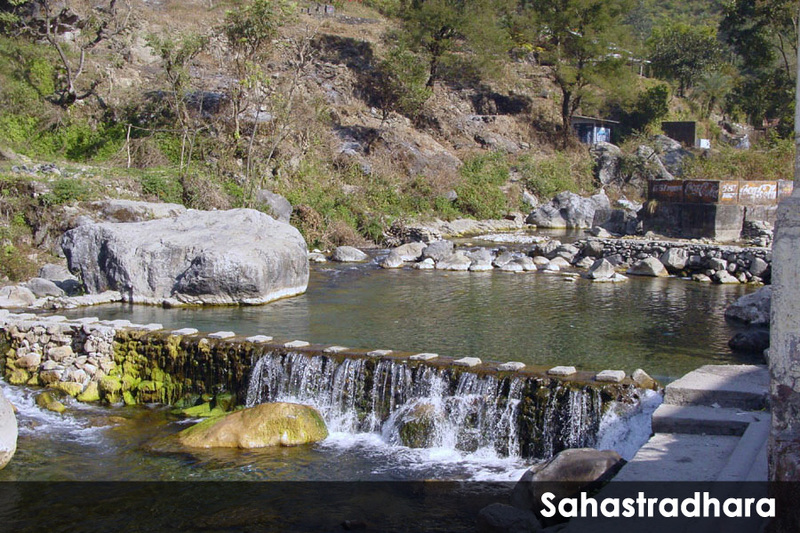 According to the mythological beliefs, this spot was inhabited by Maharishi Gautam, his wife and daughter Anjani who are widely worshipped by the people. 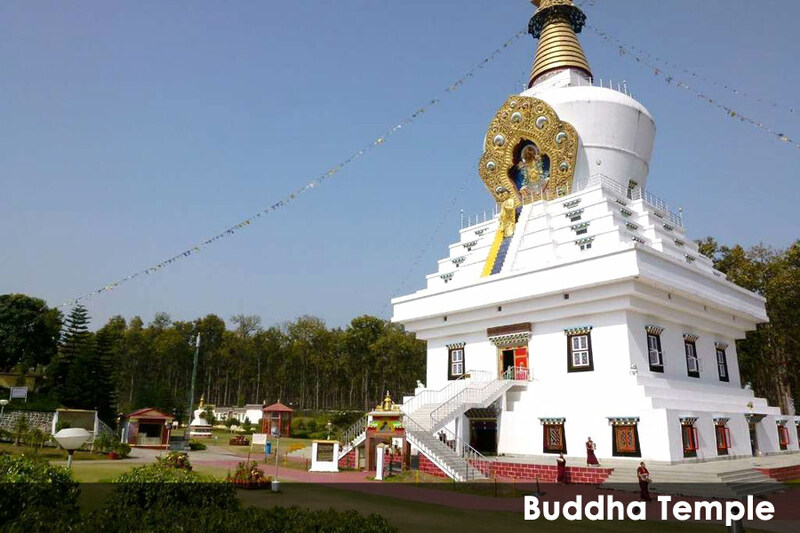 The temple stands as a symbol of the faith people have in the temple and has a great cultural and religious significance. 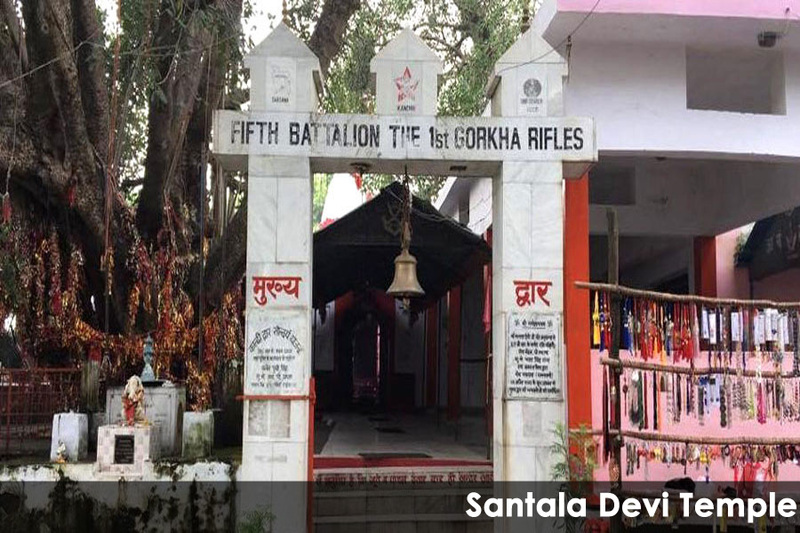 Santla Devi, alongwith her brother, on realizing that they would not be able to face the Mughal Army , abandoned their weapons and began to pray. A light flickered and within moments they both were transformed into stone images. 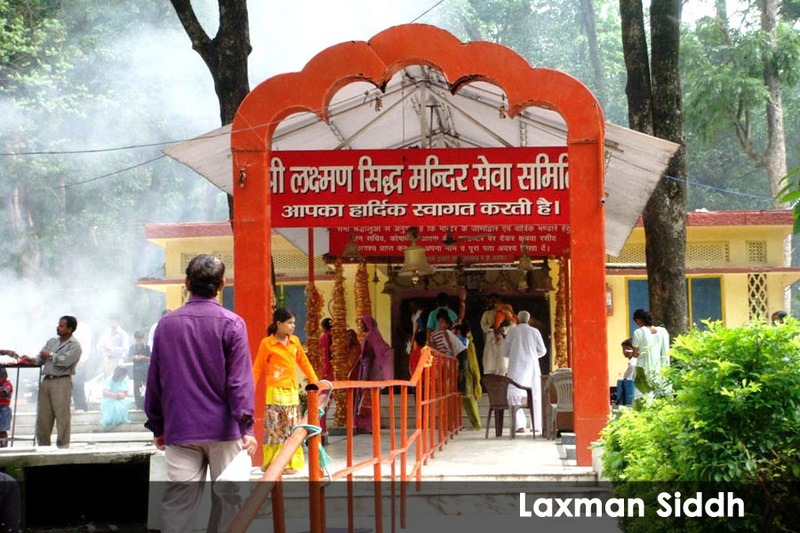 It is within the fort that the shrine was built and Saturdays marks the transformation of the Goddess into stone.